Great central location exactly as described. One bed apartment was large, bright and clean. The staff either emptied the clean dishwasher each day or switched it on if I had not. Towels were changed as requested not every day which is good. Washing machine and dryer were great as there were the usual creepy crawlies on the very large balcony and hanging clothes there to dry was never going to happen! Staff at reception were very friendly. We arrived at about 08.00am from Europe and our room was ready. We really appreciated being able to shower and unpack immediately. Fruit bowls in the lobby were a nice touch. Very friendly and attentive staff. Convenient location to many different areas of Sydney. Well appointed apartment w/ balconies, laundry and 2 baths easily accommodated family of 6 adults. Would definitely recommend! Attentive staff, friendly and informative whilst being professional. Modern, well stocked with supplies. Bonus washer and dryer in apartment suite. Comfortable beds. Nice toiletries. The best toilet tissue I have ever used!!!! Seriously, “Who Gives a Crap?” TP is amazing. 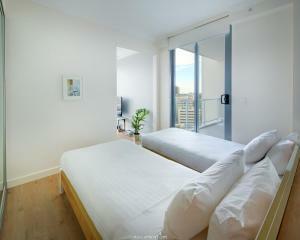 Centrally located at the top of Surry Hills, near many small restaurants and the Central Station. A longer walk to the Circulat Quay, but a wonderfully nice walk it is. The interior is amazing , very clean building , very helpful staff. The apartment was very clean, cozy, and all the utilities was working properly. The staffs were also very helpful while we stay there. The room was lovely and had everything you needed. We booked Two apts and the staff upgraded us for the 3 bedroom suite which was greatly appreciated! The staff were lovely and welcomed us with a big smile despite the late hours we arrived. The apartment was very clean and my colleague and I had a great sleep. 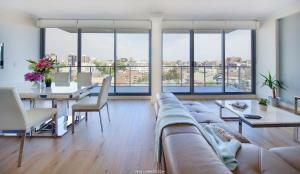 Lock in a great price for Zara Tower – Luxury Suites and Apartments – rated 8.8 by recent guests! 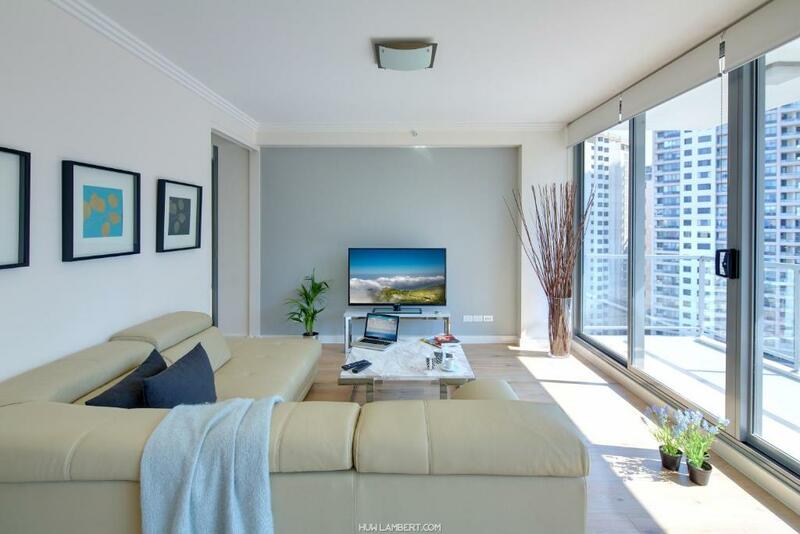 Zara Tower – Luxury Suites and Apartments This rating is a reflection of how the property compares to the industry standard when it comes to price, facilities and services available. It's based on a self-evaluation by the property. Use this rating to help choose your stay! Located in the heart of Sydney CBD (Central Business District), Zara Tower – Luxury Suites and Apartments offers 5-star accommodations with free WiFi and beautiful city views. Guests enjoy a fitness center, valet parking and a 24-hour front desk. 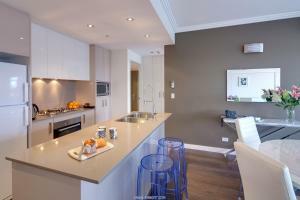 Each apartment has a flat-screen TV and a fully equipped kitchen with cooking facilities and a dishwasher. 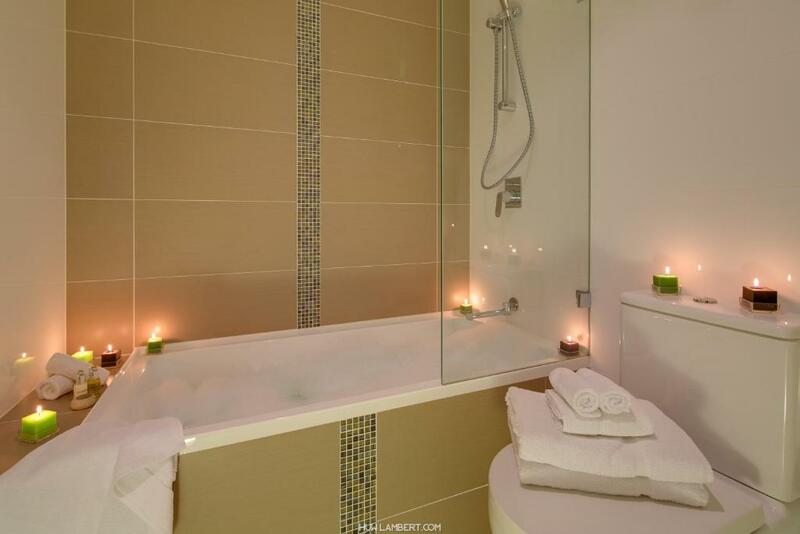 The penthouse features a relaxing spa bath and panoramic views. There is also a pillow menu available. Some apartments have a private balcony. The concierge can assist with luggage storage and location information. Private parking is available on site with prior arrangement (charges apply). Close to many Sydney CBD highlights, Hyde Park and Chinatown are each within 5 minutes’ walk of Zara Tower. The Capitol Theater is also a 5-minute walk away. Circular Quay and The Rocks are a 15-minute drive from the apartments. 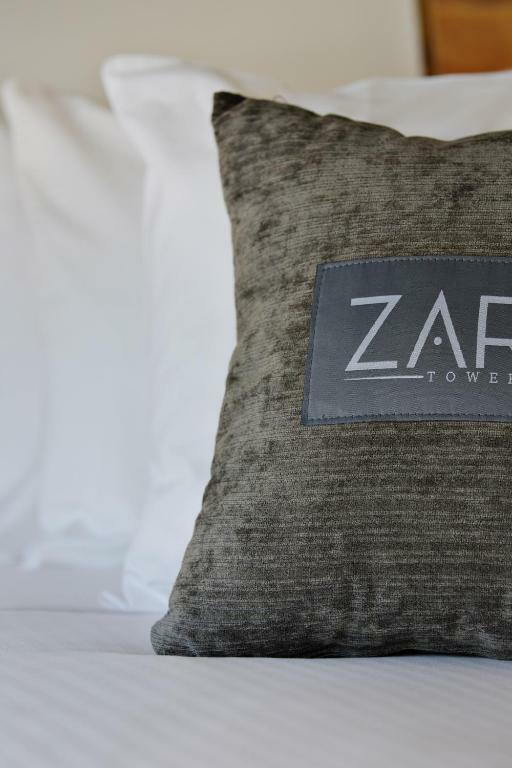 When would you like to stay at Zara Tower – Luxury Suites and Apartments? 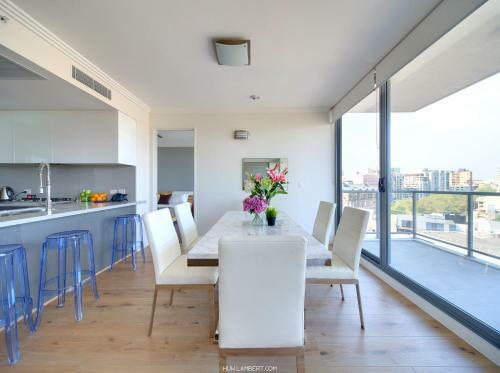 This 1-bedroom apartment features a fully equipped kitchen, flat-screen TV and a private balcony. Laundry facilities, a refrigerator and an private bathroom are included. Please note that 2 single-sized beds instead of 1 king-sized bed are available on request. Please use the special request box when booking or contact the property using the contact details found on the booking confirmation. This penthouse apartment features a spa bath and separate balconies connected to the lounge and each bedroom. It includes a fully equipped kitchen, laundry facilities and 2 marble private bathrooms. 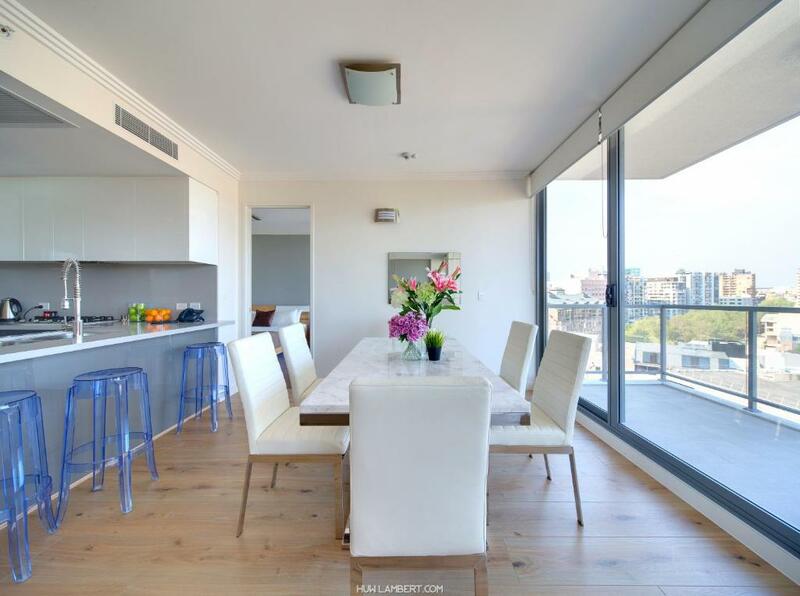 This 3-bedroom apartment features a fully equipped kitchen, flat-screen TV and a private balcony with city views. Laundry facilities, a refrigerator and an private bathroom are included. This 2-bedroom apartment features a fully equipped kitchen, flat-screen TV and a private balcony with city views. Laundry facilities, a refrigerator and an private bathroom are included. This suite features a dishwasher, seating area and stovetop. This suite has a dining area, kitchen and DVD player. 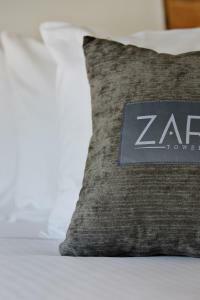 House Rules Zara Tower – Luxury Suites and Apartments takes special requests – add in the next step! A AUD500 damage deposit is required 0 days before arrival (about USD359.02). This deposit will be fully refunded 0 days after check-out, as long as there isn't any damage to the property. Zara Tower – Luxury Suites and Apartments accepts these cards and reserves the right to temporarily hold an amount prior to arrival. Please note that Zara Tower – Luxury Suites and Apartments requires a valid credit card and photo ID at the time of check-in. This credit card must be in the same name as the guest's name on the booking confirmation. If the credit card is not able to be displayed at check-in, please contact the property prior to arrival, using the contact details found on the booking form, to complete a credit card authorization form. - Credit card pre-authorization of AUD 500 for Three Bedroom/Penthouse Apartments. Please note that apartments are serviced every week for stays of 7 nights or more. Daily turndown service is available at an additional cost of AUD 33 per day if required. This hotel has a strict No Party Policy. Please note that road access and parking are limited. If you are arriving by car, please contact Zara Tower – Luxury Suites and Apartments for more information, using the contact details found on the booking confirmation. A valet service is available. A damage deposit of AUD 500 is required. That's about 359.02USD. You should be reimbursed on check-out. Please inform Zara Tower – Luxury Suites and Apartments of your expected arrival time in advance. You can use the Special Requests box when booking, or contact the property directly using the contact details in your confirmation. Great location to see a show at the Capitol Theatre. Beautiful, spacious apartment. The road and train noise is very loud even quite high up from the ground level. We appreciate it is inner city, however we will try another location for our next trip to avoid this. The staff were always friendly - and the room servicing was always well done. Having someone at the counter 24hrs a day is comforting. We were completely satisfied. The windows could be better sound-proofed but were not an issue. Excellent appartment containing everything one needs (and more). Staff exceptionally friendly. Would definitely book that again! Spacious accommodation super comfortable beds, excellent staff very friendly and helpful. Staff booked excursions for us . Perfect accommodation.would recommend these apartments. 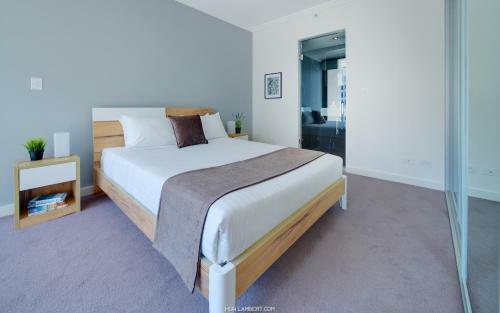 Very modern apartment with everything u need all within good transport links to major sites ! Got a last minute upgrade ! Amazing!!!!! Very friendly and helpful staff, specifically Toufic Katich, he is so professional to offer suggestion and alternative to plan our stay in Sydney. Tks Toufic. Staff were very professional and truly helpful! Thanks guys! Really modern and beautiful and huge!